Casa de Afufa - Playtime! 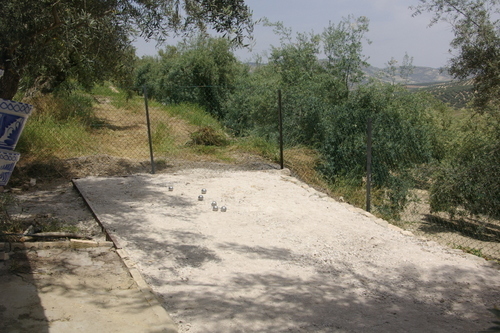 There is a private Boules Court, adjoining the Garden terrace, enabling a game which all the family can play. Don't worry if you have never played before, a set of basic rules is provided in the information folder along with a steel boules set (experienced players will want to bring their own boules). 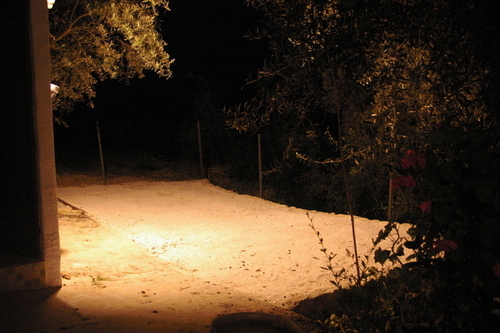 The Boules Court is floodlit ... for use after dinner. There is also a Dart Board, inside the laundry which adjoins the Garden terrace. 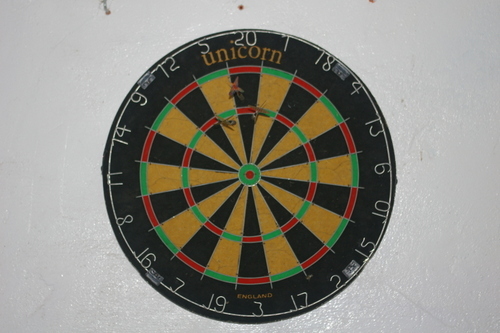 Two sets of darts are provided for guests' use. I am sure that you score better than this! Additionally there is a Snooker table, with a set of snooker balls, cue and rest, which can be used on the Garden terrace.